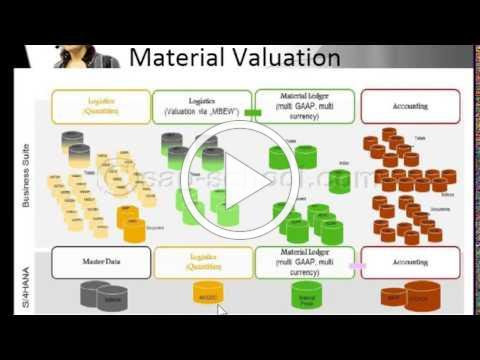 What is sLOG or Simple Logistics on S/4 HANA? Home Newsletter Archives What is sLOG or Simple Logistics on S/4 HANA? The market has seen huge increases in the number of S/4HANA implementations globally, whether they are for the S/4HANA general suite, or more specifically Simple Finance or S/4HANA Finance. But what’s going on with S/4HANA Enterprise Management, also known as sLOG or Simple Logistics? In the same way that SAP S/4HANA Finance is the next step for SAP FI/CO systems, S/4HANA Enterprise Management is the next phase for the ECC6.0 traditional logistics modules, for example SD, MM, PP etc.. Similarly to S/4HANA Finance, it will take a bit of time before everyone decides that they need to move their existing systems to SAP S/4HANA Enterprise Management. Options need to be assessed, customers need to be convinced that it is the best option for them and it is worth the cost of the project. As with Simple Finance, there will be a significant increase in the number of ongoing projects and customers carrying out these implementations. If we look at the SAP revenue numbers for 2017 and the number of customers purchasing the new solutions (Hybris, S/4HANA, SuccessFactors among others), it is clear to see that SAP have been very successful with their cloud solutions up until now. What is also clear to see is that there is a significant lack of certified resources in the market at the moment, meaning these projects and implementations can’t happen as quickly or abundantly as they otherwise might be. So, if you’re thinking about retooling, is now the right time? YES! Check out the 17 minute video below for a 500 foot explanation of sLOG and the changes to the DATA MODEL and UX. DIG DEEPER: Take a look at this 17 minute video below for further understanding. Among intelligent BPM (iBPM) solutions, Appian iBPM Solutions remain the best-in-class primarily due to its focus on the business user by enabling them to improve business decisions. Appian iBPM Solutions follows a tenet known as their Business Decision Cycle comprised of Awareness, Knowledge, and Action. While certain Appian capabilities are offered by other solution providers, Appian has four key features that continue to win raves and vault the solution into the position of being the best: its recent acquisition of Blue Prism RPA, the three pillars of iBPM, Low-code platform-as-a-service (PaaS), and dynamic case management…. Appian acquired Blue Prism to add Robotic Process Automation (RPA) to its already extensive iBPM capabilities. RPA applies technology to enable people in an organization to configure software or allow a robot to gather and interpret extant applications to process transactions, manipulate data, trigger a response, and communicate across other digital systems. Appian RPA allows organizations with legacy systems or highly complex business processes to create applications easily and bypass expensive integration projects. This powerful process modeling technology automates the process with software robots used at any point to eliminate redundant, repetitive rule-based tasks performed by employees. Also, the integration of RPA easily scales for seamless collaboration between the software robots and people. Tasks may be automatically directed to an employee for exceptions or other reasons, and these tasks can be prioritized as needed to ensure the collaboration remains productive. Q. SAP offers different operating models for SAP S/4HANA. What options do customers have, and what are the main differences between them? A. It’s possible to run SAP S/4HANA both on-premise and in the cloud. With the on-premise version, companies handle the operations themselves on their own servers. This variant currently offers the most comprehensive SAP S/4HANA functionality and the highest degree of individual customization for every industry. The on-premise version can also run in the cloud – in this case, SAP HANA Enterprise Cloud. The advantage of this arrangement is that SAP provides the server and other hardware and takes care of operations and security at its data center. At the same time, customers can still customize the software according to their needs. This makes it seem like SAP S/4HANA is running right there within their own organizations. SAP S/4HANA Cloud, meanwhile, is made available in a software-as-a-service (SaaS) format. This means customers outsource the corresponding technology to the cloud, with SAP handling the system operations and providing updates on a quarterly basis. SAP S/4HANA Cloud thus offers all the core digital functions of an ERP system in various highly standardized editions designed for specific industries. That said, SAP S/4 HANA Cloud and the on-premise version of SAP S/4HANA constitute the same product: The different variants of SAP S/4HANA were developed on the same code base and feature the same innovations.